Click ‘Add a new Title or Issue’. 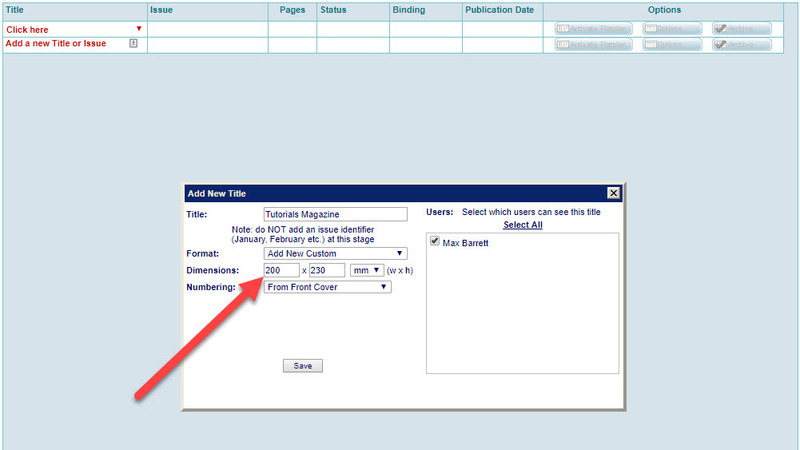 Step 3: Click ‘Add New Title’. Add the Title. 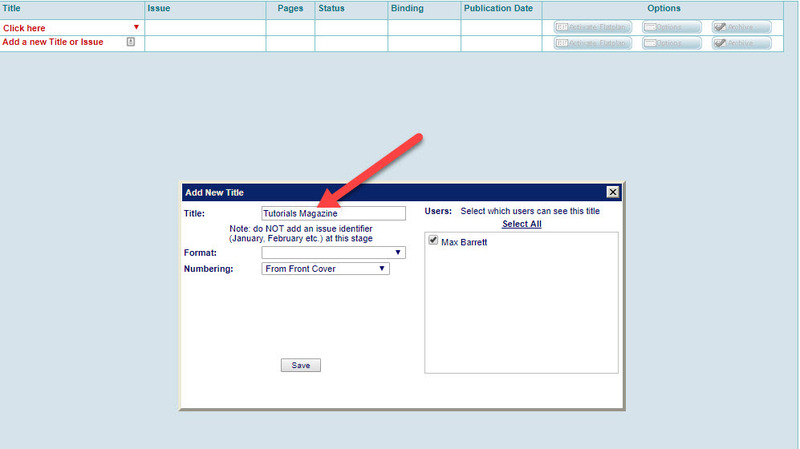 NOTE: DO NOT add an Issue identifier as part of the Title description. 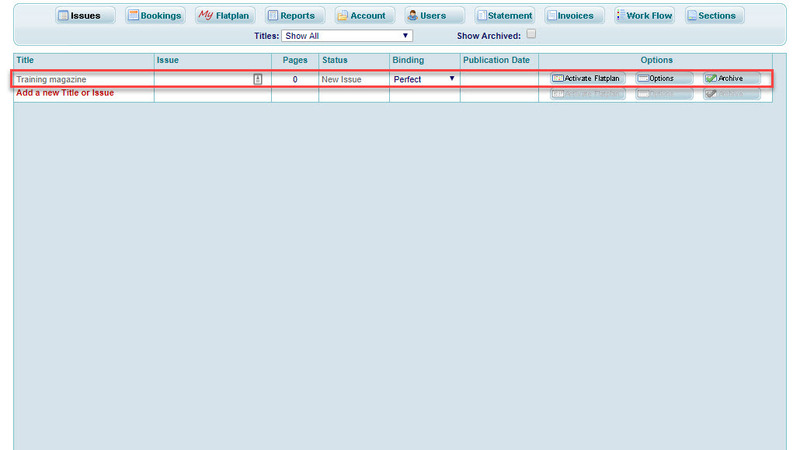 For example, Issues are often identified by a month, date or reference number. 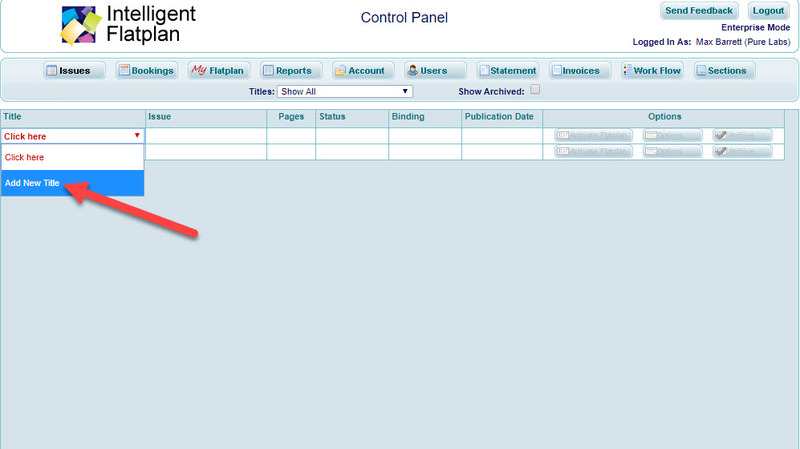 Issue identifiers are added AFTER the Title has been created. This is important as the system need to differentiate between different Issues of the same Title. 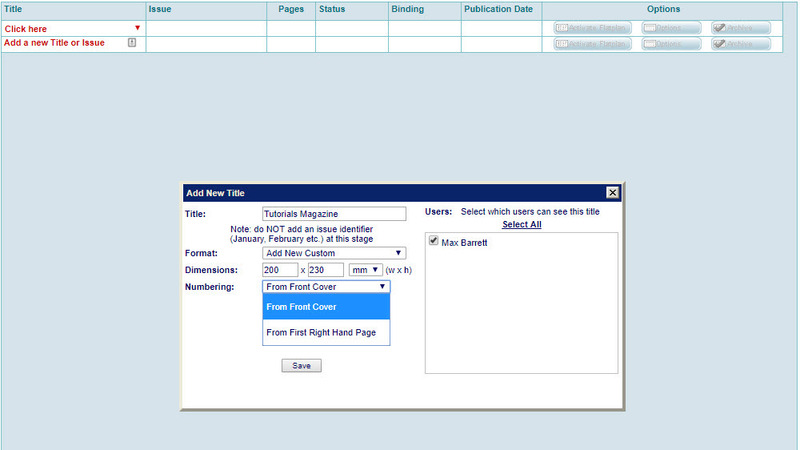 Select a page format from the default list of pages dimensions or, if your page dimensions are not listed, move to Step 5b to create a custom page size. 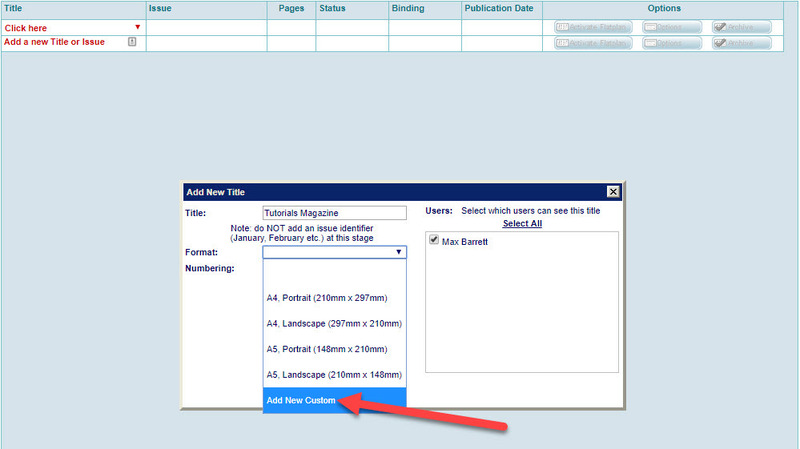 If one of the default formats is not suitable, select the ‘New Custom’ format option. 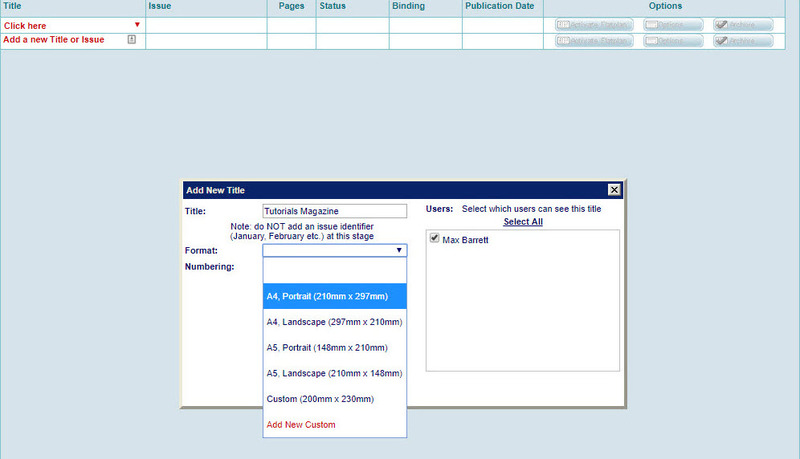 Create a custom page format by entering the dimensions for the width and height. Dimensions can be added in mm or decimal inches. Choose a numbering style for the Title. 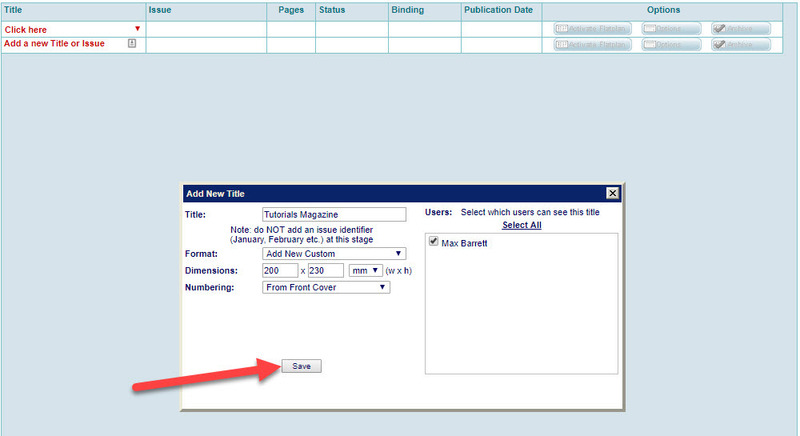 For example, numbering ‘From Front Cover’ is often used for newspaper style publications which use the same paper stock for all pages. Numbering ‘From First Right Hand Page’ is often used for magazine style publications which use different paper stock for the covers. Select which User(s) will have access to this Title. 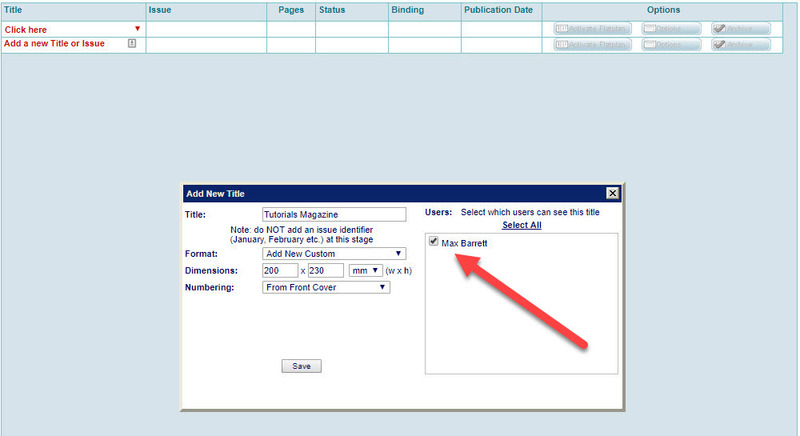 Unselected and new Users can be added to the Title at a later date via the Edit User options. 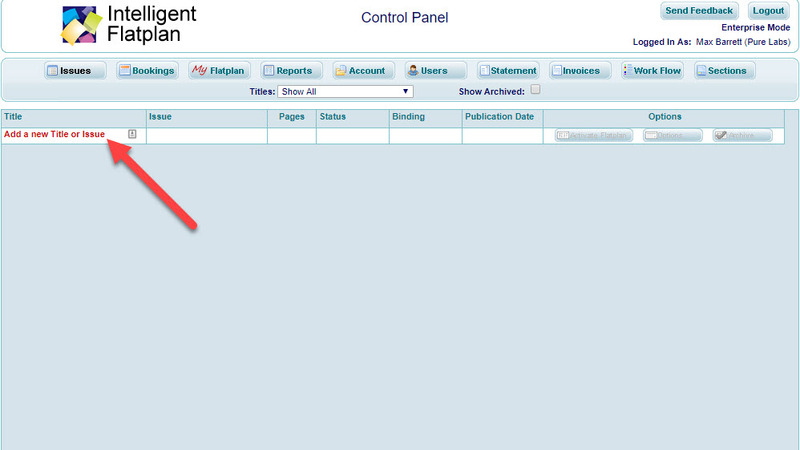 Click Save to add the Title to the Control Panel. 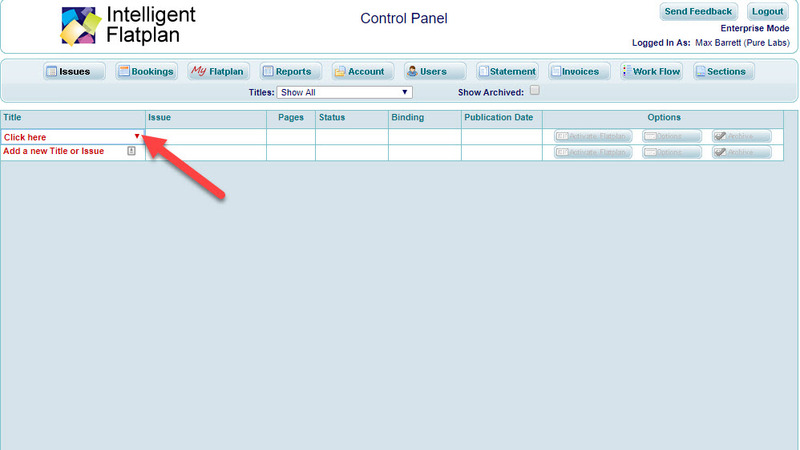 The Title is displayed in the Control Panel.